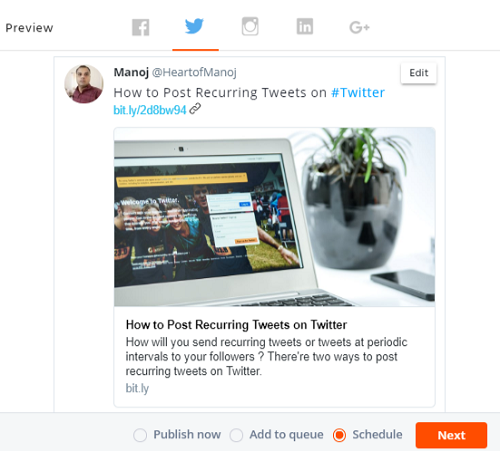 There’re three ways to post recurring tweets on Twitter. IFTTT is a popular web service to automate various things using the power of technology. We can use it for performing lots of tasks like education, travel, social media management, shopping, transportation, cloud storage, health tracking and so on. Turn on this applet for sending recurring tweets from your Twitter account. Enter your tweet in the Tweet text box. Choose a time for the trigger to fire. Save the applet and you are done. The tweet will be sent every day at the scheduled time. Agorapulse is our favorite tool for automating social media promotions. 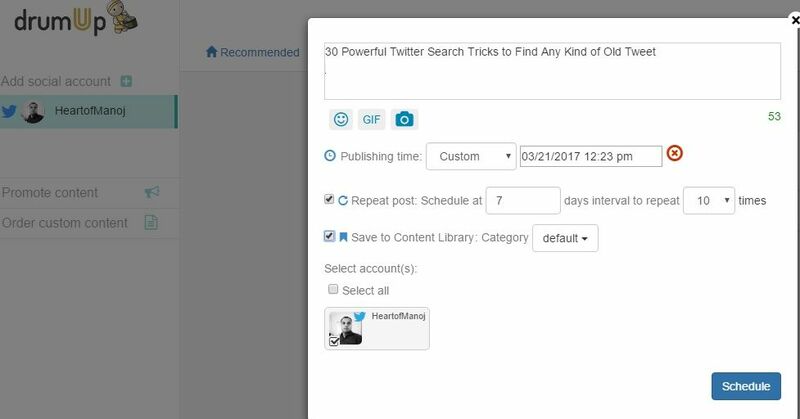 It lets you create, schedule campaigns for leading social channels at the best time to get maximum user engagements and clicks. As it handles the marketing part effectively, you can divert your mind to other productive tasks or content management. Sign into your Agorapulse dashboard (browser extension also available) and hit the orange color Publish button on the top-left pane. A new window will open with publishing tools and features. Select your Twitter profile first. Then you can type the tweet or insert a link on the post editing box. Once you finished these steps, post preview will appear on the right side. If you are satisfied with the preview shows, click on any of the publishing options and tap the Next button. Now you will be asked whether to republish the contents regularly or not. Enter how many times you want to send the recurring tweets on the selected profile and at what intervals. Don’t forget to hit the orange color button on the bottom-right corner again to confirm your changes. DrumUp is an excellent tool for promoting your contents across leading social sites. 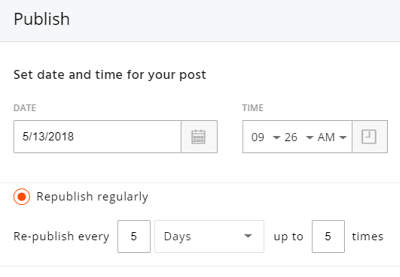 Unlike other common tools, it lets you send recurring posts at scheduled intervals and time. Sign in to the site with your Twitter account and tap pencil icon from the right bottom corner to create a custom post. You will get a screen similar to the above screenshot. 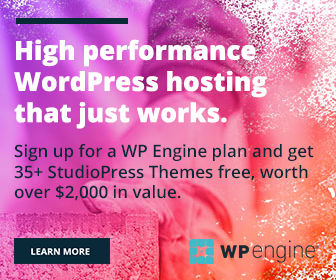 Insert your post title, URL, hashtags if any and set the publishing date, time for the tweet. Check Repeat post box to post it at periodic intervals. Type interval and frequency for the post. Choose your profile if you have added multiple accounts to it. 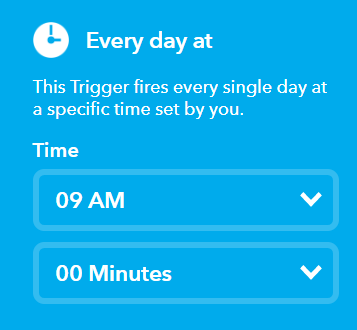 Finally, click Schedule. The tweet will appear on your timeline as per the schedule without any further intervention from your side.